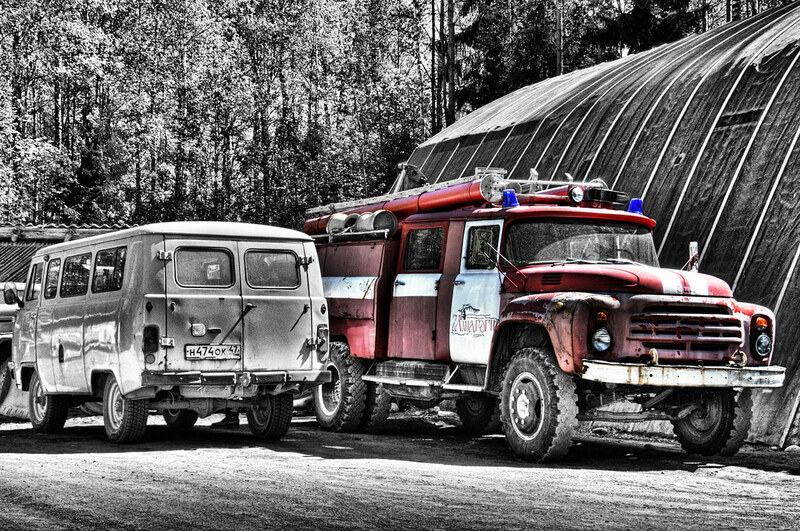 Mandrogy village between Lake Ladoga and Lake Onega is mainly built of wood, so there is some need for a fire brigade. Here it is! De-saturization was again done with The Gimp's GEGL c2g operation, I really like its film grain effect.